Fata Orlović is a Muslim woman who lives in Konjević Polje in Bosnia and Herzegovina. Konjević Polje is currently located in the administrative entity of Republika Srpska. When Ms. Orlović returned to her property after the genocidal war she discovered that a Serbian Orthodox Church had been built on her property without her permission. Ms. Orlović has been engaged in a legal struggle to regain her property and remove the Church. 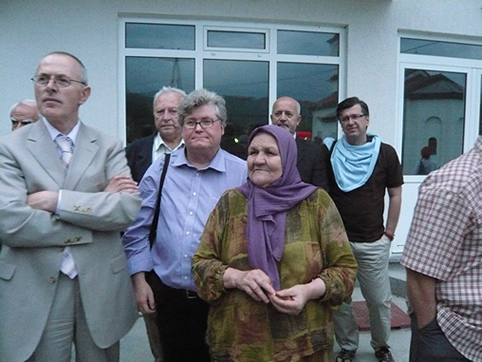 During international genocide conference at Potočari, July 10-11th, the conference participants visited Fata Orlović to express their solidarity with her struggle.